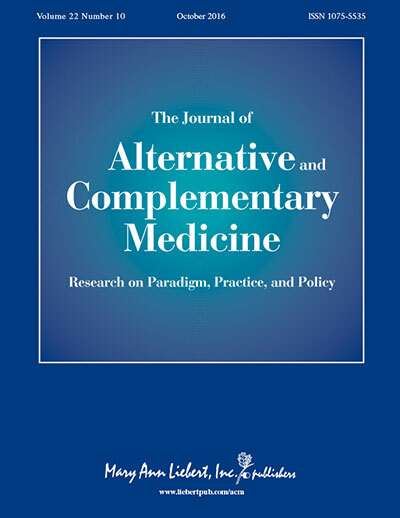 SAR members are entitled to a deeply discounted subscription to our official journal, The Journal of Alternative and Complementary Medicine. The Journal is the authoritative resource for health care professionals and scientists who are seeking to evaluate and integrate alternative therapies into patient care protocols and research strategies. SAR members receive two deeply discount subscription options, $219 for Print & Online (a $433 value) and $131 for Online Only, a savings of over 50%. The Print & Online option provides access to all the back issues of The Journal of Alternative and Complementary Medicine published since 1995; that is 20 volumes, over 152 issues, 2,800 articles of searchable content! These subscription opportunities further enhance your SAR member benefits. This rapid peer-reviewed Journal welcomes participation and contributions from SAR members. For further information on The Journal of Alternative and Complementary Medicine and other authoritative titles related to the field visit: www.liebertpub.com.